According to the football transfer rumours in Serbian Media (Sportske Net), AC Milan are leading the race for Lazio midfielder Sergej Milinkovic-Savic. The Serbian midfielder was signed by Lazio in August 2015 from Genk for a fee of 19 million euros. The 22-year-old has a valid contract with Lazio until June 2022. Sergej Milinkovic-Savic has played 77 times for Lazio since signing from Genk, scoring 11 goals and creating 11 assists in that time. The 22-year-old is considered to be one of the best midfielders in Serbia. The Serbia international has been in outstanding form for Lazio last season. Sergej Milinkovic-Savic has represented Serbia at Under-18, Under-19, Under-20 and Under-21 level, winning 37 caps and scoring 8 goals. The 22-year-old will be high in demand this winter, with him having enjoyed a sublime season for Lazio. Vincenzo Montella wants to sign a new midfielder this winter and Sergej Milinkovic-Savic is one of the names at the top of his wishlist. Sergej Milinkovic-Savic has been long term target of Vincenzo Montella as the manager look to bolster his midfield options for the second part of the season. Vincenzo Montella will reportedly be handed a huge transfer kitty this winter and the Lazio midfielder is thought to be among the manager’s priorities. The Serbia international is a player who has impressed many European clubs in the last few seasons, and it is understood that AC Milan manager would prefer playing him as a central midfielder. According to the report in Serbian Media, Lazio are preparing to sell their midfielder should they receive a massive offer in the region of 50 million euros for him. 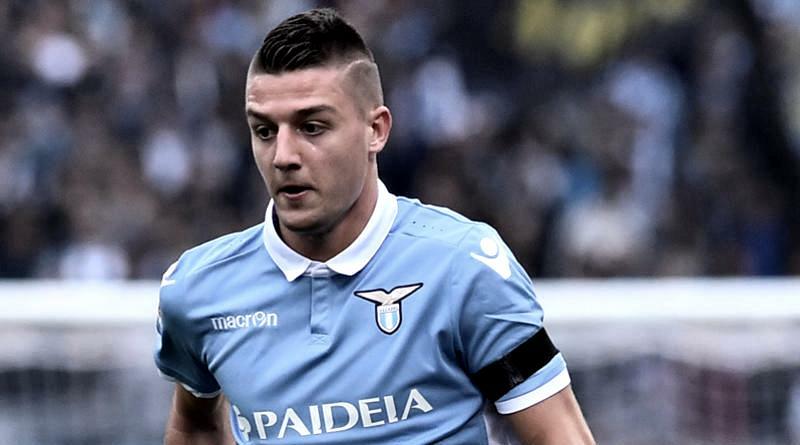 Italian giants Juventus are apparently trailing AC Milan in the pursuit of Lazio midfielder Sergej Milinkovic-Savic. How strong that interest is and whether AC Milan will make a winter move remains to be seen but it is certainly one worth keeping an eye on. Sergej Milinkovic-Savic would reportedly be interested in a move, but if AC Milan do want him, they will have to beat those other interested clubs to his signature.